Local startup Shopify announced a few weeks ago that they were planning to host a special coding seminar for kids aged 7-12 and it took all of a few hours to sell out. When the announcement initially went out, I jumped on my email and fired off some questions to find out how a young, funky company like Shopify even came up with the idea to teach kids to code. I mean, do any of them even have kids? Here are the highlights of my email exchanges with Julian Nadeau, an intern and one of the main organizers of the event. Spydey: Shopify, as with most startups, is perceived as a young place to work. Is that a fact? If so, given that a smaller percentage of staff have families, where did the idea to teach kids to code originate? Julian: While it is true that a large portion of Shopify's work force is young, that actually inspires us to help the younger generation since many of us still remember and realize the troubles of youth, having been 7-12 just 10-20 years prior. Many of us have just recently graduated University (I myself am an intern at Shopify, and I am still in University), and so we understand the trials and tribulations of software development (and its education). Being young may also help us convey information to the youth in a more modern way. Though that is totally a speculation. Probably an apt speculation, methinks. You know he's right if you're a parent who has ever tried to teach your kid anything for school. Or tutor them. Even if the Shopify devs don't actually convey the info in a more modern way, their youth will definitely ingratiate them to the kids. They'll at the very least perceive that the information is a lot more interesting coming from a younger teacher. In fact, I think he's bang on with that observation. "suggested using the Raspberry Pi and a programming language targeted towards kids. About 5 minutes later I thought to myself, "Wait, why can't we do this for many kids!?" And the idea spawned forwards from there." Spydey: What is the structure for the day? What can the kids expect to learn? 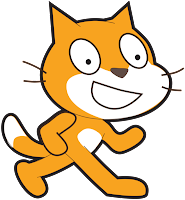 Julian: we will get the kids in and help them create a game on a raspberry pi computer using the scratch program. This program is a drag and drop interface that teaches basic computer logic, and will allow us to eventually go into a more detailed programming workshop in a future event (hopefully). If you managed to get a ticket, congrats! I'll be there with the Dude :) If you didn't, don't fret: the fine folks at Shopify have created a mailing list for future events. Just head over to the Code For Kids site and enter your email address. Should be an awesome day: Free Comic Book Day AND Star Wars Day AND Code For Kids Day. Our heads might just explode with all this geeky goodness!